‘Countries struggling with ISIS in Syria can “share the fate of France”,’the terrorists of ISIS claimed. In their video the terrorists announced their plans to organize a terrorist attack in Washington. ISIS issued a video in which terrorists threatened the countries which are participating in the air operation in Syria that they are going to attack them, according to Reuters. The terrorist group ISIS is one of the major threats to global security today. In three years the terrorists managed to occupy large areas of Iraq and Syria. In addition, they are trying to spread their influence on the countries of North Africa, particularly on Libya. According to various estimates, the area which is under ISIS control covers up to 90 million square kilometers – the terrorists have announced the creation of the so-called caliphate with its own laws and authorities. 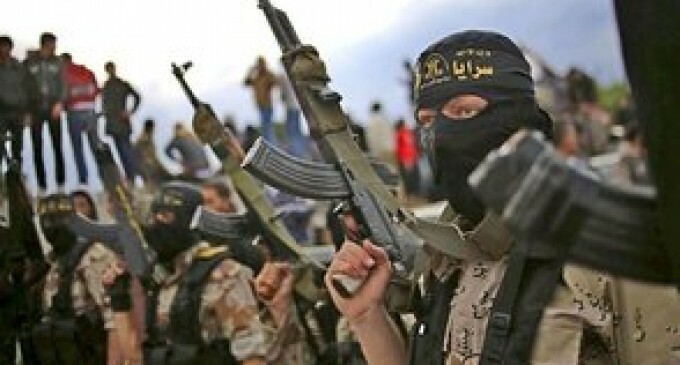 Data on the number of extremist organizations also varies from 50 thousand to 200 thousand fighters.